Nothing says "I Love You" more than a bouquet of fresh red flowers. 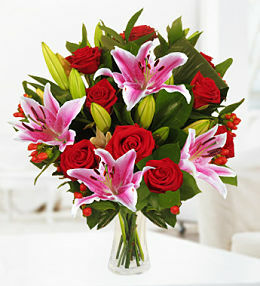 At Prestige Flowers, we have the freshest red flower arrangements available for you to send to that special someone. Remember that flowers each have their very own meaning and, in many cases, the number of flowers can also determine the meaning of the arrangement. 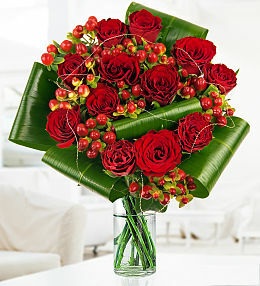 If you send a dozen red roses, you are asking the recipient to be yours. That&apos;s what makes such bouquets a favourite for Valentine&apos;s Day. 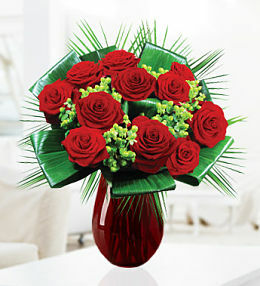 If you send twenty four red roses, you are sending and even stronger message of love and devotion. 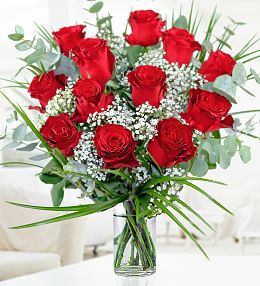 Sending forty red roses tells the recipient of your true love for them while a bouquet of fifty or more roses is indicative of love without boundaries. No matter which bouquet of red flowers you choose, our expert florists will ensure that each stem is handled with plenty of love and care as they are arranged and delivered to your door or that of the intended recipient. 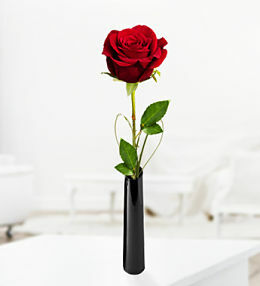 Take note of discounts, savings and extras like free chocolates or a free vase when making your selection. We also offer next day flower delivery in many cases so be sure to take advantage of this option if you need a bouquet delivered in a hurry.